Now James is completely healed and happy because he is in the presence of the Lord and is with his beloved wife, Dorothy. On Thursday, November 29, 2018, James Edward Futrell, departed this life peacefully, surrounded by family, at the Maryview Medical Center Hospital located in Portsmouth, Virginia at the age of 76. He was born on December 5, 1941 in Murfreesboro, North Carolina to the late Sherman Brad Futrell and the late Ruby Mae (Peebles) Futrell. He attended Vaughantown Elementary School in Murfreesboro, North Carolina. After moving to New York, James performed maintenance for a large apartment complex in Kew Gardens. Later on he began working for Sid Harvey’s as a porter. Eventually he became a machinist and built boilers (heaters) for the company. James married Dorothy on November 1, 1966 in Kew Gardens, New York. They were happily married for 51 years but knew each other since elementary school. She was his true love. His second love was shopping at “Home Depot”. He also enjoyed working on cars, going to the drive-in movies, and watching the “Judge Judy” TV show. His grandchildren remember him as fun-loving who danced at Christmas parties, loved fishing/crabbing, and played with them in the backyard. James was a deep thinker which was an advantage when he calculated his moves while playing chess, checkers, and cards. James loved hats and especially his New York Yankee baseball caps. James acknowledged the Lord by telling the story of how he was protected after coming face to face with a snake while playing in the crawl space under a house as a child. Also, when he almost fell into a well while playing on his grandparents farm in North Carolina. He knew that God watched over him throughout his entire life. His colleagues called him “Jimmy” but the family called him “Dolly” which he said meant “Darling”. He said that this was a name of endearment because, in the past, families did not hug their children a lot to keep from “spoiling them”. At the end of his life, he spoke about how proud he was to be able to drive his wife to work, everyday for 26 years, without being late. He considered that one of his greatest accomplishments. 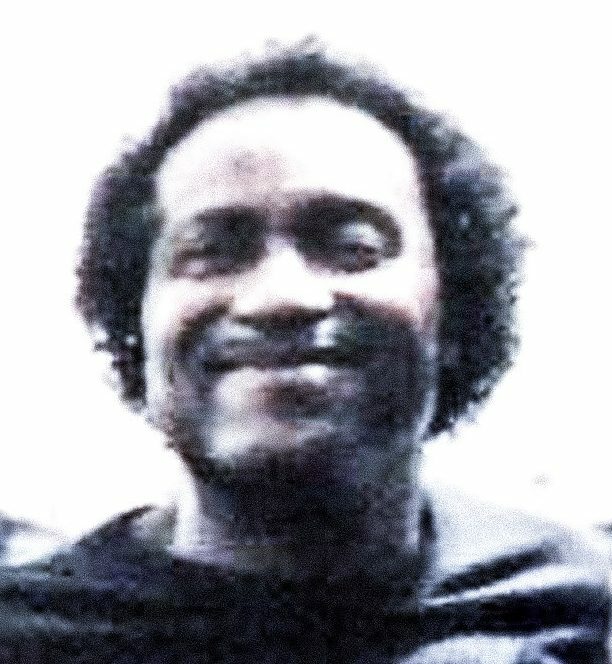 James is survived by his daughter, Doris Theresa Bailey of Jamaica, NY; his sister, Beulah Mae (Futrell) Harrison (Portsmouth, VA), whom he called “Sis”; his grandchildren Vanetta (Nita) Bailey, Tamika Russell, Shavon Bailey, Crystal Bailey, Calvin (Papa) Bailey II, Elizabeth Bailey; his great-grandchildren Tyriek Russell, Mya Russell, Malik Russell, Elijah Russell, William Bailey, April Knight, Talitha Edwards and great-great grandchildren Madison Russell; his niece/nephews James Harrison (Portsmouth, VA), Jerome Harrison (Angie) (Newport News, VA), Carla McKee (Melvin) (Severn, MD), Kenya Rahming (Severn, MD). His in-laws Francine Knight (Jamaica, NY), Marion (Baby) Graham (Hampton, VA), Edward (Eddie) Robinson (Jamaica, NY), Virginia (Dukie) Jenkins (Kenneth) (Charleston, SC) and a host of nephews, nieces, cousins and friends. Predeceased by his wife, Dorothy Mae Futrell of Jamaica, NY and brother-in-laws William Knight, Jamaica, NY and Frank (June) Knight (Portsmouth, VA); his devoted bonus children, David Clark (Highland Mills, NY) and Belinda Waldman (Thousand Oaks, CA).